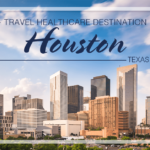 Taking a travel healthcare assignment in a new city can be incredibly exciting with the anticipation of what might await, but it can also be a little overwhelming if you aren’t sure where to start. To get the most out of it, ideally, your explorations should include a good mix of purposefulness and impulsiveness, meaning it’s a good idea to create a list of those must-dos, but at the same time, keep an open mind and don’t be afraid to get lost. By employing these strategies, you’ll be able to make the most out of the time you have in the city as a healthcare traveler, making it an especially worthwhile experience. Our smartphones make it difficult to just wander, allowing ourselves to truly get lost and discover places we may never have imagined were there. While using GPS and apps like TripAdvisor, Yelp, Foursquare and the like can be helpful, there’s really no substitute for simply walking and taking it in firsthand without the opinions of others getting in the way of the actual experience. Of course, when do really get lost, you can always turn your phone back on to navigate you back to where you need to go. The best way for any travel healthcare professional to get insider advice about where to go and what to see in a new city, is to chat with the locals. While talking to your co-workers is always a good idea, consider choosing a café, coffee shop or some other place you can visit frequently, every day if you can. You’re likely to end up having some great conversations with locals who want to share their advice and experiences. You could even end up making a friend or two to guide you. That’s one of the best ways to discover the hidden treasures in any city that few visitors ever get to enjoy. Many cities host free walking tours, and they can be a good way to get familiar with the layout before heading out on your own. You might even find one that’s focused on your particular passions, like a food tour. Food tours are ideal for getting an inside look at some of the top dining spots and hidden gems. Food is also an incredibly important part of a culture – even if you aren’t in a foreign destination, cuisine can vary widely depending on the region of the country, and it will teach you a ton about your temporary home city and those who live there. 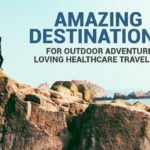 Say “yes” to get the most out of your time during your healthcare travel job, pursuing every possibility that presents itself, within reason of course. If someone invites you try something like ziplining, kayaking, dancing or to a rock festival, as long as you’re not scheduled to work, go! By the end of your travel assignment, you’re sure to have some great stories to tell. Don’t relegate yourself to staying within the downtown area, historical center of a city or the like. Once you’ve settled in, take public transportation that will allow you to see more diverse areas, and then perhaps walk back in, depending on the distance. You’ll be able to explore all the layers of the city, experience different neighborhoods as well as socio-economic groups in addition to learning more about the locals and their routine. If you’ve got 13 weeks or more, you may want to consider tackling a certain theme every week. For example, you might try exploring as many bookstores as you can one week and then moving on to museums the next. Discovering the quirkiest coffee shops can be a whole lot of fun too. 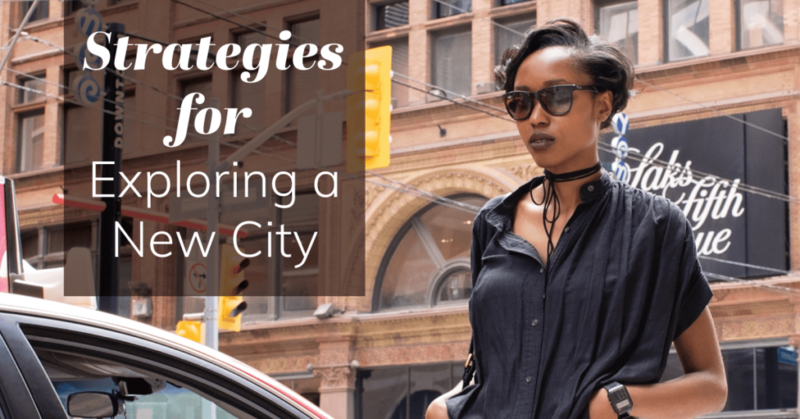 Just base your themes on your favorite things and before you know it you’ll have found the very best spots in the city, according to you.